The radar is the black circle at lower left. It can sense winds blowing toward and away fro the radar. 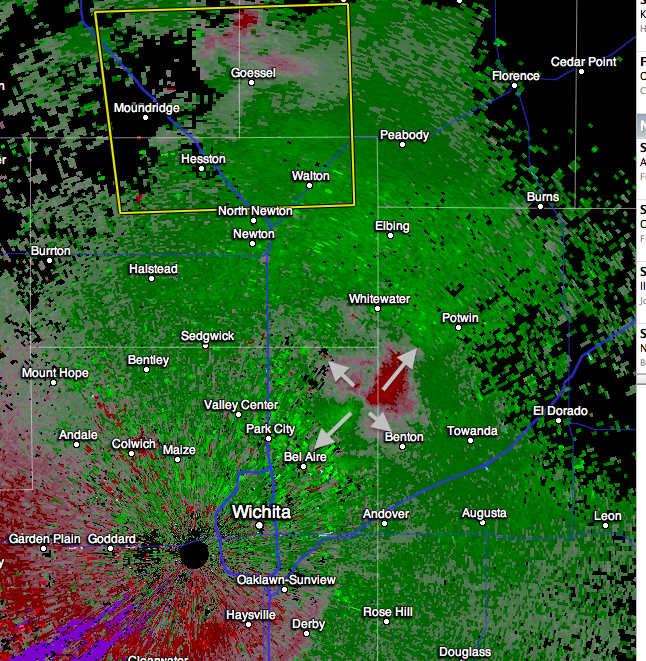 So, the red area is winds away from the radar. The greens are winds blowing toward the radar. 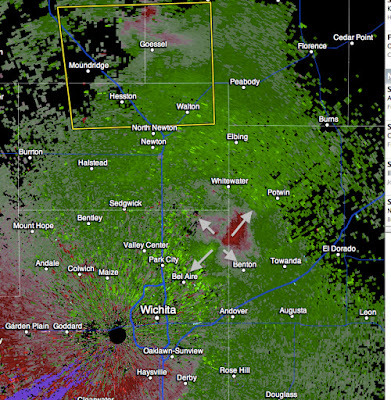 The winds at 90° angles appear as nearly calm as the radar can only sense toward and away. Downbursts used to be the #1 cause of commercial airline crashes but meteorologists solved that problem and saved thousands of lives.